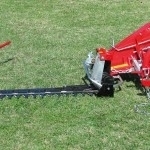 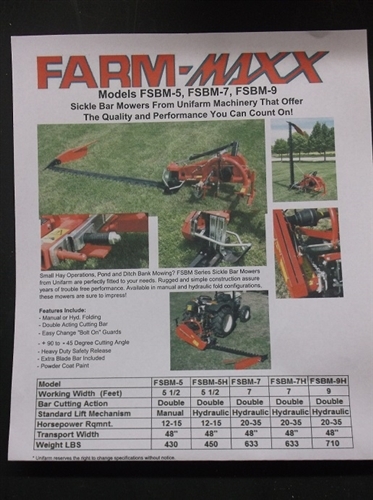 Perfect for small hay operations, pond bank and ditch mowing, vertical hedge trimming, plus much more, this sickle bar mower will mow up to 90 vertical or 45 degrees down. 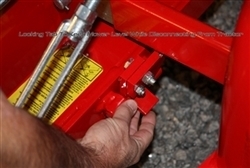 You control the cutter bar lift with your tractors hydraulically controlled remote rear hydraulics. 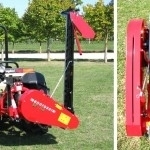 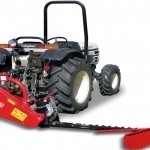 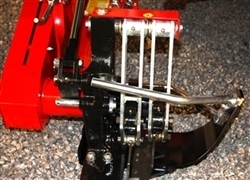 NH 451 Sickle Mower 7 ft., 3 Point Used 7 Ft Ford 501 Sickle Mower 3 Point Convert Your Ford 6 & 7 Ft SICKLE MOWER Rivets to Bolts International 1300 Belt type Sickle Mower 7 ft.,3 Pt.